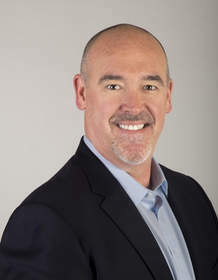 January 12, 2015 09:00 ET | Source: BlueData Inc.
Former Microsoft executive Greg Kirchoff joins BlueData as vice president of business development. Kirchoff is responsible for for driving strategic business deals and partnerships across various industries with key customers, technology partners, OEMs, SIs and resellers. Former VMware executive Jim Lenox will serve as vice president of worldwide sales. Lenox is responsible for leading sales strategy and execution efforts. 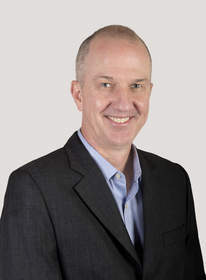 MOUNTAIN VIEW, CA--(Marketwired - Jan 12, 2015) - BlueData, the pioneer in Big Data private clouds, today announced the growth of its executive team. Former VMware executive Jim Lenox will serve as vice president of worldwide sales and former Microsoft executive Greg Kirchoff as vice president of business development. Both will report to BlueData co-founder and chief executive officer Kumar Sreekanti. As vice president of worldwide sales, Lenox is responsible for leading sales strategy and execution efforts. As vice president of business development, customer success and operations, Kirchoff is responsible for driving strategic business deals and partnerships across various industries with key customers, technology partners, OEMs, SIs and resellers. Both will further the BlueData mission to democratize Big Data, making it easy and cost-effective for enterprises of all sizes to deploy a self-service, private cloud on-premises. "Jim and Greg bring highly prized expertise to the BlueData team, both having strong industry backgrounds at companies known for their innovation and execution," said Kumar Sreekanti, CEO of BlueData. "Today, leveraging Big Data has evolved from cutting edge to mission critical, and BlueData is positioned to eliminate cost and complexity from the equation. Jim and Greg's extensive experience uniquely enables them to help propel our company's growth as we continue to simplify and democratize Big Data." Lenox comes to BlueData from Midokura, where he was vice president of worldwide sales and president of U.S. operations. Prior to Midokura, he spent 13 years at VMware as senior director of cloud services and general manager of Asia-Pacific sales, with assignments in Palo Alto, Tokyo and Singapore. In the latter position, Lenox drove the company's international field activities and built Asia-Pacific revenue from a negligible base to over $50 million. Earlier, Lenox held field management roles in technology firms and served in the United States Air Force. "Joining a company that is set to revolutionize how enterprises deploy and ultimately gain huge business advantage from Big Data is an amazing opportunity," said Lenox. "As vice president of worldwide sales, my focus will be to extend BlueData's availability worldwide, allowing enterprises of all sizes to instantly spin up Hadoop clusters, thus transforming the way they use Big Data." Kirchoff joins BlueData from Microsoft where he spent a majority of his 15-year tenure leading the Global Business Development & Strategic Alliances organization where he and his team were responsible for developing relationships and new business opportunities with Microsoft's largest and most influential Independent Software partners. Additionally, Kirchoff's charter focused on negotiating hardware and operating system deals within China. Prior to Microsoft, Kirchoff served as director of business development for start-up Sequoia Software, where he helped to lead and grow the company from venture investment rounds through IPO, and later acquisition by Citrix Systems. "I'm thrilled to be joining BlueData at such an explosive time for the company and the industry," said Kirchoff. "BlueData was purposefully and thoughtfully architected with partner integration and attachment in mind. The opportunity to build new and surprising partnerships to help BlueData succeed in a Big Data world is truly exciting, and I look forward to leading these efforts."